Well since April is half way through.. prob should get these March little things up on the blog. Pretty soon I won't even remember the details - thanks pregnancy brain! That pic up above was from Iliza Shleshinger in Atlanta - Lexie gave me tickets for my birthday and then the date was moved to March. Fun little excuse to get down to Atlanta for the night! I LOVE this girl's personality. She is such a performer and loooooves being the center of attention. Poor baby brother doesn't stand a chance. We joke he won't talk until he is three! On Dr. Seuess' birthday, Pamela and I took MJ and Lily to a story/craft time in Davidson. The girls had sooo much fun! Love their little relationship! Gigi sent Maddie Jane a big box of new spring clothes and this rainbow skirt with pockets is BY FAR her favorite! She has insists on braids almost every day lately for school to match her best friend, Wynter. I struggled at first with her super fine hair, but I'm getting pretty dang good if I say so myself! Every single day. Can't stop. Won't stop with the homemade yogurt parfaits! The guy is at the grocery store and it cost ONE PENNY to ride. Solid investment/bribe to get Maddie Jane to behave in the store. We started swim class in March. You can read all about Maddie's big week HERE. We had some hibachi for a weekend dinner.. which is ALWAYS a treat around here! We went to brunch at our favorite restaurant - Block Bistro - three times in March. Ooops! We met some princesses that you can read about back HERE. AJ and I went on a parents' only weekend to Charlottesville that you can read about back HERE. We've enjoyed the weather warming up! Soaking up alllllll the 70s weather before we are in the 90s! There was a gigantic consignment sale up here (over 80,000 items!!!) and I racked up on stuff. ALLLLL this (mostly Polo and Gap) for $50! My side kick... doing what she does best..
Maddie Jane is in a stage where whoever is beside her is her "best friend" -- on this day, it was Molly! Our neighbor Clara turned 4 and Maddie Jane went to their house for a birthday dinner! Then celebrated again the next day at her friend birthday party! These two are soooo cute together! And the weather turned back cold and I was back in my uniform. I have worn these same leggings almost every single day with a rotation of 4 shirts. Today it's going to be 80 though!! I'm breaking out my shorts and tanks! Naps are rare for MJ these days, so I love snapping a pic. Especially when it includes her best friend Molly. And rounding off the month in Sandersville for two showers that you can read about HERE! Per usual, I'm going to do some marathon blogging. So check back here tomorrow and Friday!! Happy Friday everyone! 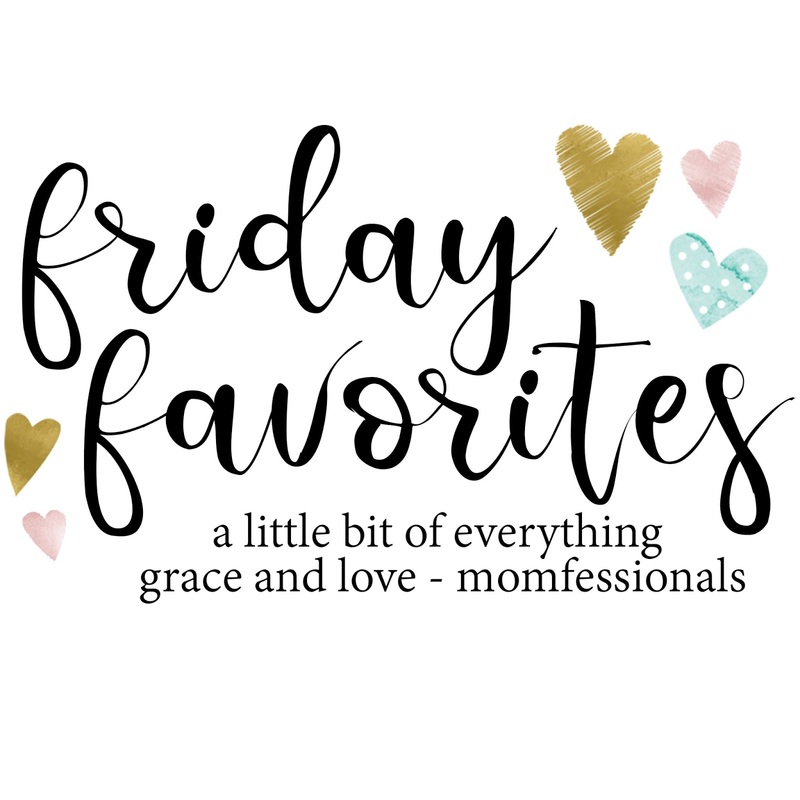 I haven't done a Friday Favorites post in foreverrr! Happy to be back in my blogging grove. Here are 5 quick things that are my favorite this week :) I hope you guys have a great weekend!! This pup follows me everywhere. Everyone in the family is benefiting from me working part time from home - but I think this pup is liking it best! She just goes from room to room sleeping every chance she gets. 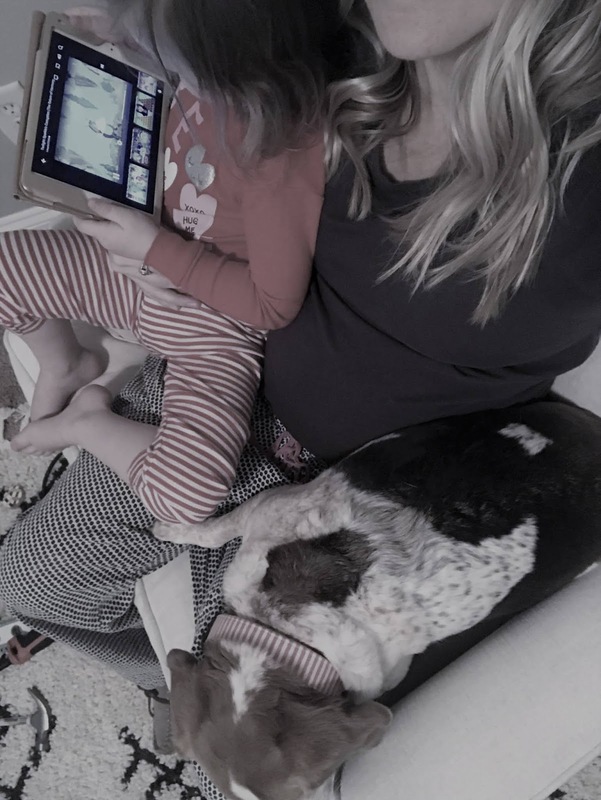 Between Molly being connected to me at all times, little guy growing rapidly in my belly and MJ knowing her days as a single child are dwindling.. my lap is ALWAYS full. A few nights ago I was soaking it all up while watching AJ work on nursery things. I have struggled a LOT with food aversions.. I don't want meat hardly ever - if I do, I want chicken nuggets or taco seasoned ground turkey. So I asked my bestie over at The Healthy Peaches to help me get more protein in my diet. We came up with different ways to use taco meat, incorporating more beans, eating beef or bone broth and yogurt! And TMI.. my digestion is wayyy better these days! 1.. Cook 1 pound of ground turkey in taco seasoning and set aside. 2. Split zucchini and scoop out insides..then use the leftover remnants of taco goodness to saute a half onion and zucchini insides (salt + pepper). 4. Mix meat, onion, zucchini, 1 can of corn and 1 can of black beans together. 5. Scoop goodness into boats, top with Mexican cheese and cook in the oven at 350 for 25 minutes. 6. Garnish with hot sauce, sour cream, and cilantro! In Charlotte it has been cold wet and rainy for approximately 65 days, ha! I have been wearing the same leggings and three shirts over and over and over. So when it hit 60 last week, I jumped at the opportunity to wear something new!! These outfits were from our weekend in Charlottesville. Surprisingly, I snagged BOTH of these dresses at Goodwill for $4 each. I haaaate spending money on maternity clothes and I just couldn't pass this deal up. They are both sleeveless, so I paired a cardigan/jacket with them for the cooler weather.. They are both super comfy and I will be wearing them weekly until July! I saved my absolute favorite for last.. I'm opening up a small shop! I have been researching for weeks to find a creative outlet that I can do with my spare time. I thought about monogramming, party planning, even opening a dry bar! But I finally settled on creating handmade jewelry from home. It is very little overhead and doesn't take a huge initial investment. I have been playing around with different textures, materials, and price points in supplies, and I finally have nailed down "my style". I am SO excited about this new venture and I cannot wait to show you guys my designs! I am starting out with statement earrings only. I LOVE fun, girly statement earrings, but have a hard time finding ones that are light enough for my ears. I have pretty stretched out earlobes that I am super conscious about, so I also prefer to only wear post earrings opposed to hook. So a majority of my designs with be in this form. Next week I will be doing a giveaway over on my instagram and will be officially launching early/mid April. It would mean the world to me for you to like, share, and follow Grace Ann Designs. This past weekend we had a parents' only weekend to Charlottesville, Virginia. When we saw Mumford and Sons were touring near us we knew we had to go.. we considered the Charleston show, but it was middle of the week, so we bought tickets to the one in Virginia for a weekend getaway! We left after lunch on Friday for the 4ish hour drive through some gorgeous mountains and vineyards. We checked into the hotel, and had a yummy Italian dinner and walked around the outdoor mall by out hotel. Andddd maybe stopped at Kilwin's for dessert :) It was so low key and just what this Mama needed. The next morning I told AJ he had to pick out breakfast since I had made the dinner reservations. Well.. he picked the BEST meal of the whole weekend. We walked the two smiles to Moose's by the Creek. Super old joint, linoleum floors, taxidermy everywhere, no dish over $9..And it was COMPLETE HEAVEN. I'm still dreaming about that french toast on good ole Sunbeam white bread. Thank goodness we had to walk the 2 miles back to the hotel to counterbalance a tiny bit of this feast. We shopped a little.. AJ found a barber for a much needed haircut, we took a glorious two hour nap.. def skipped lunch after that mound of a breakfast we had.. and got ready for date night number two! We had dinner at The Local - recommended by two different friends. It did not disappoint. The building has been everything from a mechanic, a coffee shop, a photography studio.. and has now been completely opened up for a two story restaurant. Great vibe and would recommend if you are in Charlottesville! AJ's local beer and duck.. I had some soup and salad that wasn't worth a pic, but very yummy.. ha! We had a parents only weekend last month, this month and have another one in May! We joke that Mom is making up for all the time we were in California and couldn't help us out. We are def getting our time in now before baby number 2. We can't thank Mom (and CC) enough for being so willing to always spend time with our girl!! And then concert time! The UVA basketball stadium is an amazing venue.. usually in sports arenas you really compromise on sound quality, but not here! I am already thinking who we can see there next! We saw Mumford at Wakarusa wayyyyy back in 2011 - and they are even better now. They jam SO hard, cycle through 20+ instruments, and interact with the crowd so much. SUCH a good concert!! We got stuck in the parking lot.. and of course had to get a snack.. and didn't get to bed until after midnight. Suuuuper late for this 24 week pregnant mama, but it was all SO worth it! Love, love, love weekends getting one on one time with my hubby.. and paired with amazing music just makes it that much better!! Meanwhile back at home... Maddie and Gigi made unicorn cookies..
MJ showed Gigi her soccer skills at practice on Saturday morning..
And of course they went shopping! At the first store, Maddie Jane ONLY wanted to buy baby brother stuff. She picked all these out right by herself. Gigi even said they had to put some stuff back, ha! And don't worry... Fancy Nancy didn't get jipped. Because she was SO sweet getting stuff for baby brother, Gigi rewarded her with this insane haul! Again Maddie Jane picked out everything! Fingers crossed this helps some of our clothes arguments, ha! And the weekend was topped off with ice cream of course! Safe to say.. they both had the best weekend and we did too :) So thankful for you Gigi and all you do for our kiddos! !